Hi. 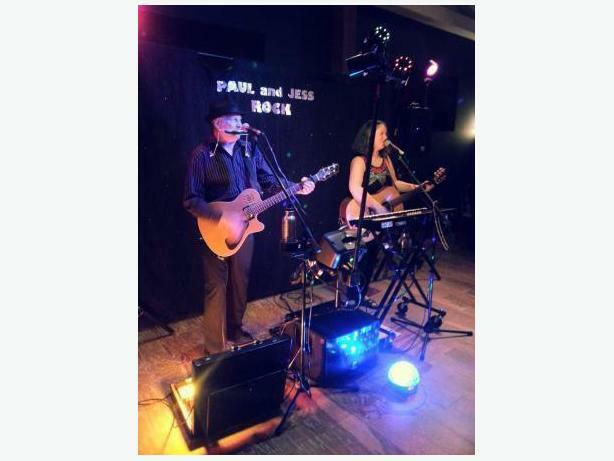 We are Paul and Jess - a classic rock duo with a full band sound. From dinner music to a full on dance party, people of all ages enjoy the hits we play from CCR, The Rolling Stones, The Beatles, ACDC, Adele and more. Rates Comparable to a DJ and include a quality sound system and dance floor lighting. "Paul and Jess rocked our 40th birthday party! Their music was amazing. Our guests had a blast." Sue and Steve Staios, former NHL hockey player for the Canucks and Oilers. "I couldn't leave the dance floor all evening. I highly recommend them." Susana Michaelis, 60th Birthday Party. Owner of the Green Store Nanaimo.